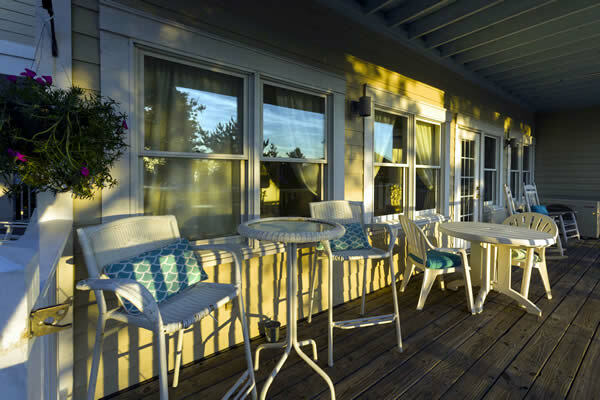 This enchanting 2-room suite is your perfect gateway to Bald Head Island. 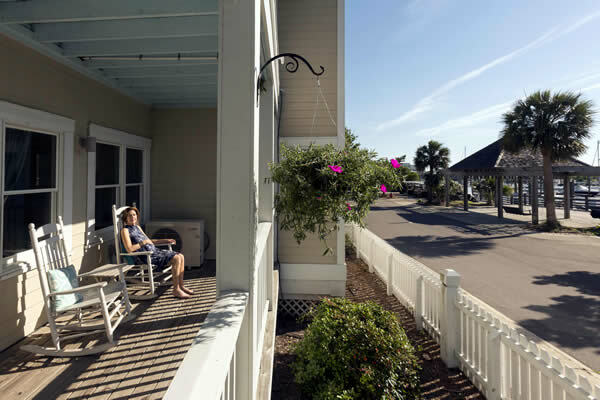 With first floor entry; your golf cart is right at your doorstep. 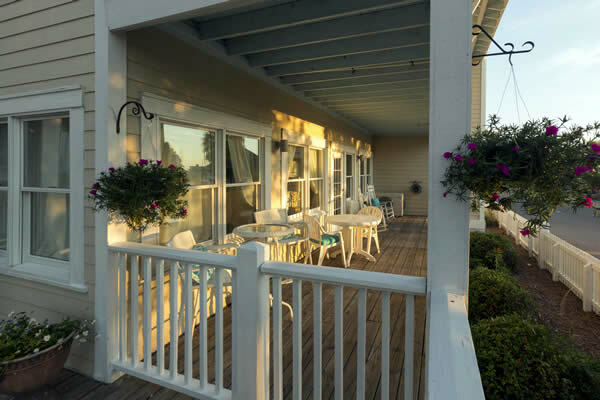 The 30 foot covered veranda adds incredible space as you relax and watch the boats coming and going in the marina. 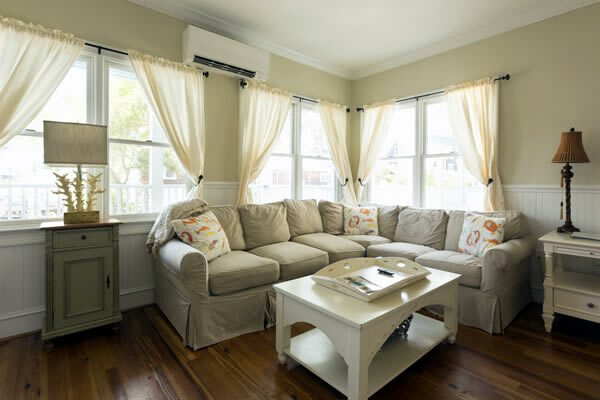 The decor is pure Nantucket in style and relaxed comfort with a sectional sofa, flat panel television, hardwood and beaded board throughout. 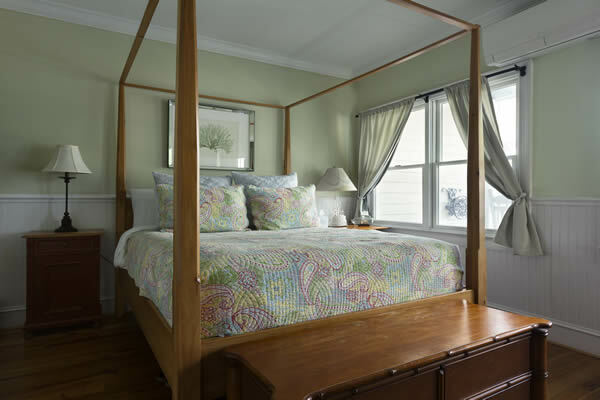 The master bedroom includes a romantic four-poster bed, and a handicap accessible bath and walk-in shower. 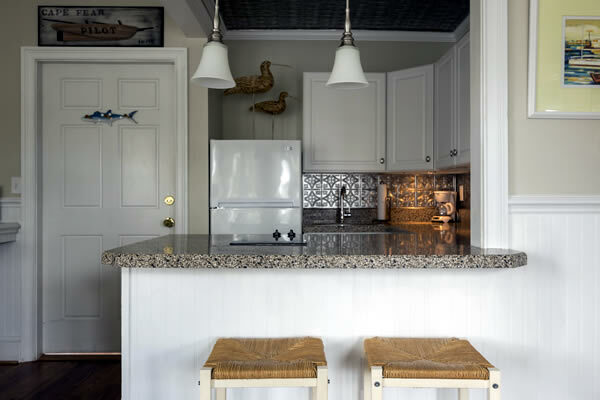 There is also 1/2 bath and granite kitchen to enhance this beautifully appointed suite.